There’s a chill in the air and fall is definitely here! 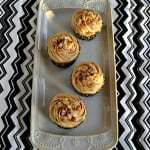 As everyone knows fall is my favorite baking season because I love using warm flavors like apples, cinnamon, pumpkin, and nutmeg. There’s nothing like eating a delicious fall flavored baked good on a chilly night when served up with a cup of coffee or hot chocolate. However, since having a baby at the end of August, I’ve been really slacking with my baking. 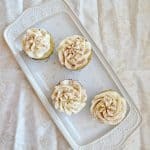 I just don’t have the time to make a homemade baked good, whip up a great frosting, frost the cupcakes, and then decorate them. It’s way too time consuming with a newborn attached to me. I’ve been looking for a way to continue my baking without all of the work and when I was at Food Lion this weekend I saw New Pillsbury™ Filled Pastry Bags in the baking aisle. I’ve never seen them before so I picked one up to check it out. 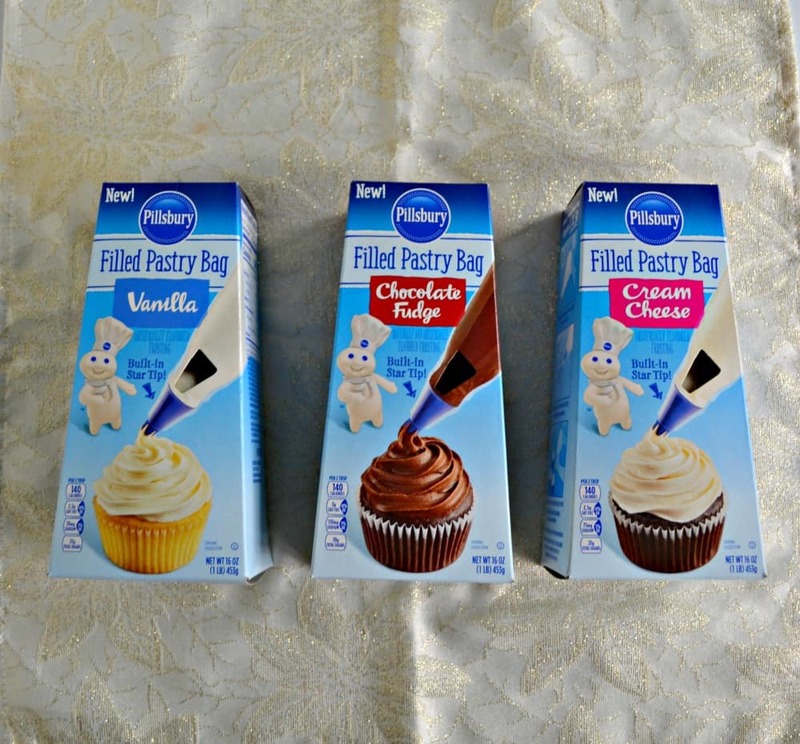 It turns out that 3 of my favorite Pillsbury Creamy Supreme frosting flavors are now available in pre-filled pastry bags! 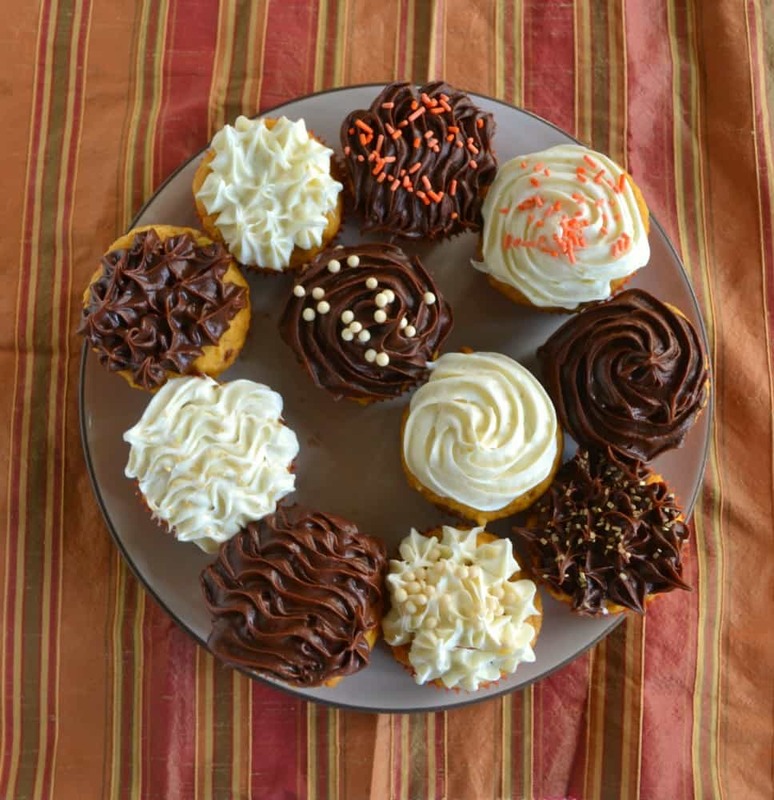 There’s Vanilla, Chocolate Fudge, and Cream Cheese frostings available. In addition to the Pastry Bag being filling with frosting there is a built-in star tip so I can easily decorate in 3 fun designs: stars, rosettes, and waves. How cool is that? Now I don’t have to spend time mixing up my own frosting, finding a pastry bag, and looking for the perfect tip. I can simply grab a pre-filled Pastry Bag and get to work on decorating my favorite homemade baked goods. 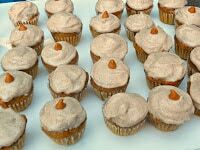 Since it’s fall, I whipped up a batch of my pumpkin spice cupcakes and put them in the oven. When they were cooked I pulled them out and put them on a wire rack to cool. I figured as soon as my baby was sleeping I could run out to the kitchen and decorate the cupcakes. I had a Pastry Bag of vanilla frosting and a Pastry Bag of chocolate fudge frosting as well as several different types of sprinkles. I lay everything out on the counter since you never know how long a baby is going to sleep. As soon as the baby was asleep I went out to the kitchen and grabbed the vanilla Pastry Bag. I quickly looked at the directions on the package and then I went to town on half of the cupcakes. All I had to do was push the frosting toward the star tip and twist the top of the pastry bag. Then I removed the plastic over from the star tip by tearing it at the perforation. Then I squeezed from the top of the Pastry Bag and frosted my cupcakes. There are photos on the back of the box to show three different designs that can be made with the tip so I tried all three! 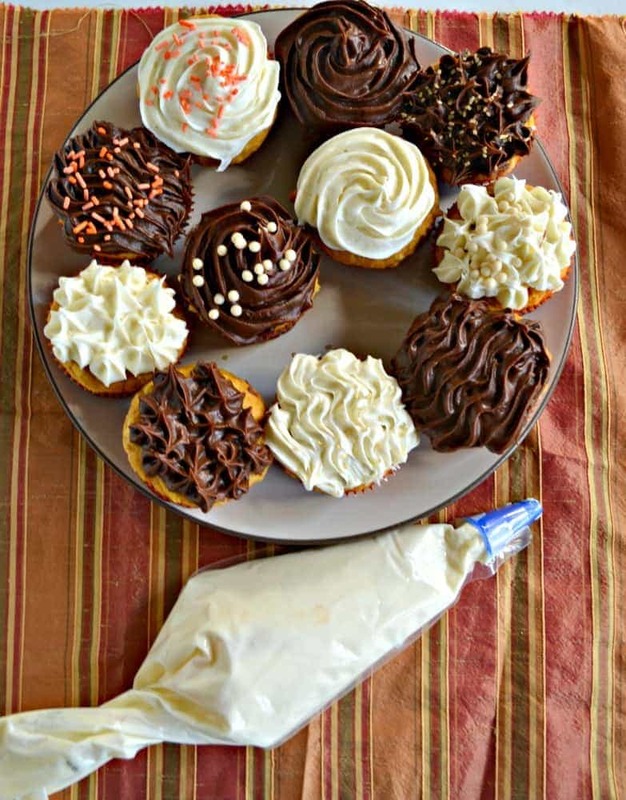 It was super fun and easy to use this frosting. It took me about 10 minutes to frost all of the cupcakes and I used two different types of frosting plus I put sprinkles on top. They looked really good, and I was able to decorate them without the baby waking up so it was a win in my book! 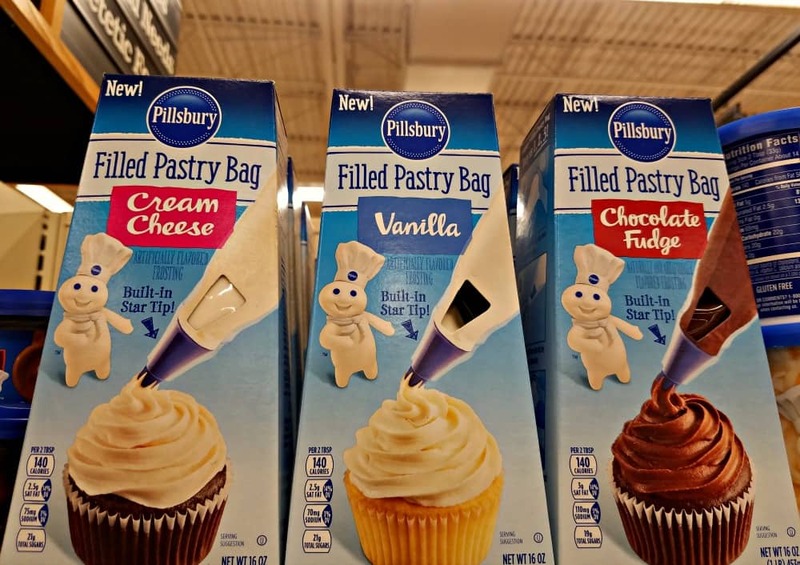 I’m really excited to share my cupcakes with visiting friends and family and then telling them about the awesome new Pillsbury Filled Pastry Bags and how easy they are to use! They would be great for kids to decorate with as well because there is little mess and they are ready to use. 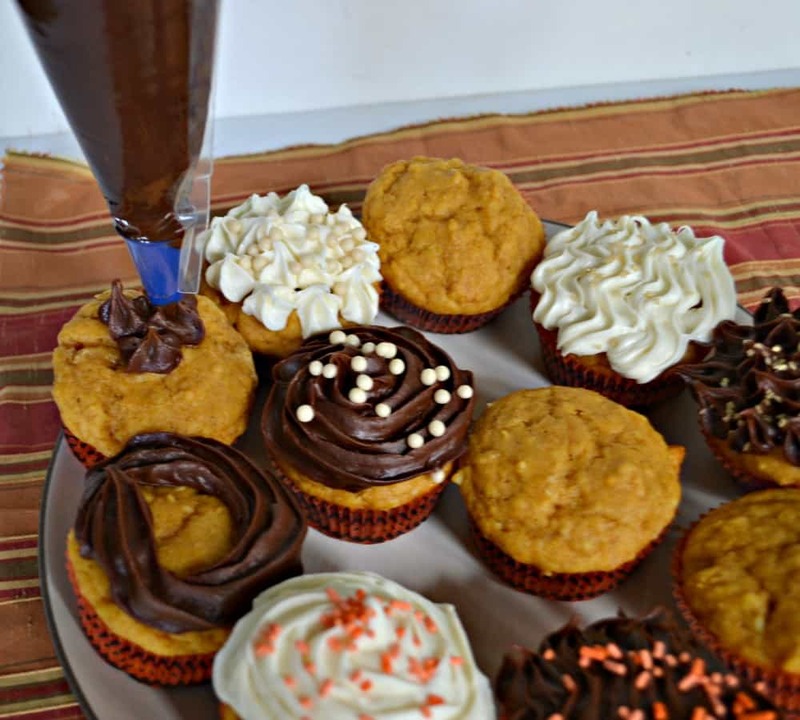 Make Fall Baking Easy with Pillsbury Filled Pastry Bags and Pumpkin Cupcakes! 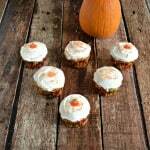 Try these delicious Pumpkin Spice Cupcakes topped with Pillsbury frosting from the all new Pillsbury Filled Pastry Bags which make fall baking a snap! In a medium bowl combine the flour, baking powder, pumpkin pie spice, cinnamon, and salt. Mix well to combine and set aside. In a large bowl cream together the butter, sugar, and brown sugar. Add in the eggs and mix well to combine. Add half of the flour mixture to the pumpkin mixture and mix well. Add in the milk and stir until well combined. Add in the remaining flour mixture and mix until just blended. Divide the mixture between the prepared muffin cups filling each one ⅔ of the way full. To decorate remove the Pillsbury Filled Pastry Bags from the box, open them up, and use the box instructions to pipe on the frosting. Sprinkle with colored sprinkles if desired.